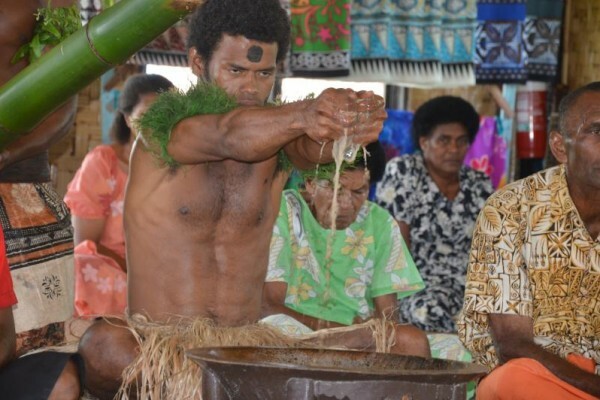 Who among the visitors to last years Monaco Yacht Show can forget the two Fijian warriors, dressed in traditional garb, handing out brochures and sharing a bilo of kava with guests. Many visitors stopped by the stand simply to try the grog. The warriors were so popular they were invited onto the Superyachts moored in the harbor for the show and even to the Monaco Yacht Club, which has a strict dress code, ignored for the two warriors. Their presence in Monaco was all part of the island groups efforts to promote and market Fiji as a yachting destination and now it is are paying dividends. Where’s the dividend from such promotion? Writing in the Fiji Sun Newspaper John Ross a locally based marketing and advertising specialist with a long background in tourism points to the just published Annual Survey of the yachting tourism market in Fiji shows a dramatic growth in both the number of yachts and the amount of money contributed directly into the Fiji economy from yacht tourism. The report reveals that in total 713 yachts arrived last year and contribution to the economy was 39.5 million (up 27% from 2013). The survey shows that each Super Yacht spent an average of $293,333 during their stay in the country. What is interesting is that that there were more Superyachts visiting Fiji than Australia and New Zealand combined in 2014. Fiji has become an “absolute must” destination for these yachts. Yachting will dramatically grow the tourism industry in the Lau group and provide income for the population there. In the Pacific, the only other option is Tahiti.